Welcome to “Magic Fingers Music”! Welcome to this new category of works by baltimoreblackwoman! This category will be devoted to the music I love—which spans the entire spectrum—and will include the occasional essay, as well as original (i.e., made by me) music videos. Music is in my DNA. Even more than my love of words and writing. 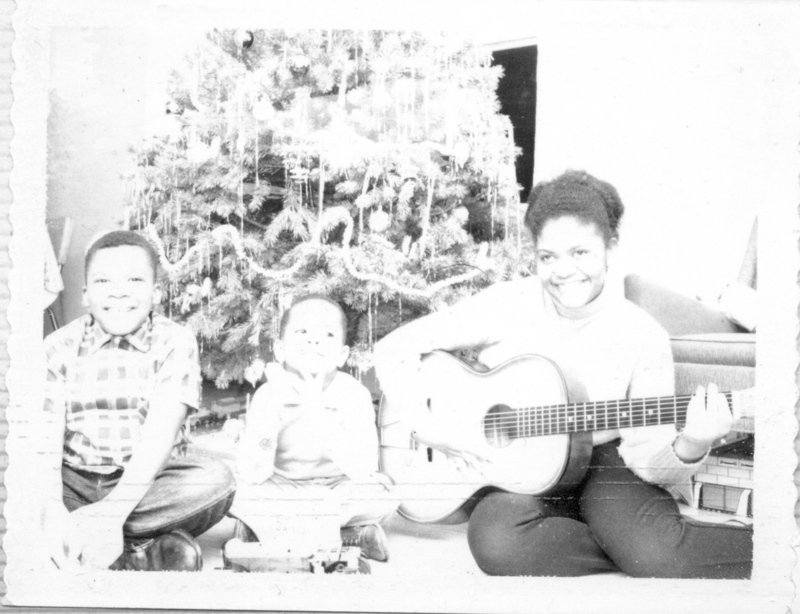 I do not remember a time when I was not listening to or playing music, although my Featured Image for this post shows me at age 2—the year before I climbed up on that piano stool in my grandmother’s livingroom and began to play. Whole songs. Two-handed. By ear, note-for-note, whatever I heard. And there was always music at my grandmother’s house, either being played by one of my grandparents or my mother on that old upright piano, or coming from the record player or radio. All kinds of music, from classical to jazz to old standards to R&B, soul, and rock, to hymns. Among the first songs I remember learning from my mother—just by listening to her play—are The Flower Song, by Gustav Lange, Beethoven’s Minuet in G, and The Spinning Song by Albert Ellmenreich. All of them learned before I was 5 years old. My grandfather would often stand behind me at the piano and play chord progessions for songs like The Swingin’ Shepherd Boy—or even just random “jump” music or jazz chords, and I would copy him as best I could. My grandparents also had an old, cobweb-ridden pump organ in a corner of the basement, and my grandfather taught me to play it as well. When I was about 5 years old, I started learning to read music from my Dad’s sister (Aunt Jeanne), using the John Thompson system (Teaching Little Fingers to Play), and I continued taking music classes throughout my school years. I value those lessons, and I’m a pretty good sight-reader today. But I heard and felt notes more easily than I read them, and I more diligently developed my play-by-ear gifts by mastering any song I liked well. I especially liked theme songs to movies and tv shows. My elementary school repertoire included the themes from the movies Exodus, The Cardinal, and King of Kings; and tv shows like The Virginian, Dr. Kildare, and Peyton Place. Along the way, I learned more instruments. In my 4th grade class (when I was 8) I learned to play the recorder. At age 11 (7th grade), I got my first guitar, which I taught myself to play by using chord books. Around the same time, I was taking cello lessons at school, but I quickly abandoned the clunky cello for my sweet guitar. At 15, I took flute lessons at Peabody Preparatory—using my recorder rendition of The Associations’ song Windy as my audition piece. [That same year, I also got my Yamaha 12-string guitar, which I still play now.] After a year at the Prep, my flute teacher suggested that I continue learning in school, maybe in band or orchestra. Instead, I just kept playing my flute—occasionally jamming with my best friends from high school. It is those friends who christened me Magic Fingers.” We’d get together at each other’s houses playing guitars and piano (when available), singing the songs of the ’60s—The Beatles, Simon & Garfunkel, etc. 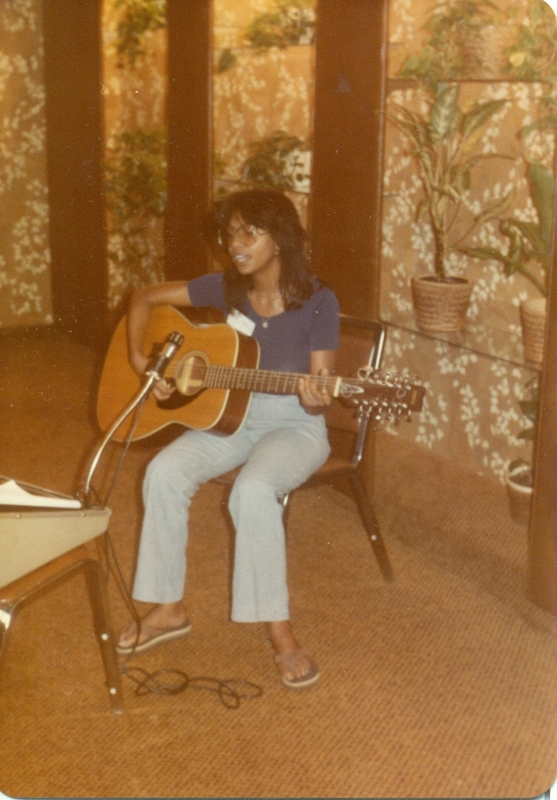 All this playing and singing led to my off-again/on-again music “career” in Baltimore. Around 1969, I started playing regularly at the Faith Presbyterian coffeehouse, performing Joni Mitchell and Neil Young songs, among others. This led to a semi-regular gig at Chester’s Place, the old Hopkins University coffeehouse in the early 1970s. I also played at a few local outdoor festivals, including one at the Baltimore War Memorial, where I sang Melanie’s Lay Down (Candles in the Rain). I even had 5 seconds of fame on local tv. The first 2 seconds came from an appearance on a cultural affairs program called “North Star,” where I was touted as a rising talent. The next 3 seconds came from my weekly appearances accompanying the children singing on a program called “Children’s Chapel”—a religious program produced by a Lutheran Church in America pastor I got to know during my (very brief) stint as a Girl Scout. That association with the Lutheran Church led to my joining the now-defunct Third English Lutheran Church congregation and to my learning to play the pipe organ at age 22—the old organist had quit, and somebody had to step in! So, in exchange for volunteering to play every Sunday service, the congregation paid for my tuition to Peabody Preparatory (again! ), where I studied (again!) for about a year. But this time, I almost earned a certificate in Music Theory. Except I quit the course right before the last semester. I also served—for the first time ever—as a choir director for both the adult and children’s choirs, and in so doing, I followed in my grandfather’s footsteps (he had been a choir director many years earlier, at our home church, Metropolitan United Methodist Church). It began well enough. But after a year, “my” choir staged a coup, ousting me as director. I retreated to the safety of the Metropolitan Choir, continuing to sing, and sometimes acting as an assistant to the director for rehearsals. I would even quietly and deftly take over for Dr. Statham—mid-song—at the Moller organ on occasions when he had to leave a service early. And later, I led the United Methodist Men’s Chorus and provided background music at United Methodist Women’s breakfasts and luncheons at the N.M. Carroll Manor. I guess directing a choir just wasn’t for me. I was much better at being that quiet person behind the scenes whom everyone called on when they needed a last-minute player! Around 2004, I essentially stopped playing music altogether, except as a funeral singer for family members or at an occasional family celebration. It’s hard to put yourself out there day after day, especially when the returns are not so great. Forgive me if I sound like I’ve got a chip on my shoulder. Unbeknownst to me when it actually mattered, a number of my family members had really expected me to make a real career in music. And, in retrospect, I do feel like “I coulda been a contendah!” Music is my one true gift—I have perfect pitch, both absolute and relative, and an eidetic memory that I am secretly proud of! Perhaps the “poor returns” I spoke of happened because, as a dear friend once told me, I lack “showmanship.” And she was probably right. In all my artistic endeavors, I never felt comfortable promoting myself. I still don’t. Yet, here I am, embarking on this new venture, on top of the thrill of starting a blog. It wan’t until early last year that I entertained the notion of playing and singing again. And that notion came from, of all places, Facebook! I shyly joined a Neil Young fan page—I was looking for a “Heart of Gold” (one of Neil Young’s great songs)—and I found an entire family, a whole tribe, of like-minded music lovers. Having seen others post covers of Neil Young songs in the group, I promised I would share one of my own. In time, I did so. But when I saw my hands on my keyboard in my first self-made video, I was horrified—“Magic Fingers” had turned into “Spastic Fingers!” But I decided to just go with the flow, and my tribe was really quite supportive. From there, I produced my Advent 2014 video series, for which I wrote a mini-homily based on each Sunday’s theme (according to the United Methodist Church lectionary) to introduce my Advent song of the week (all are favorites of mine). I used photos I had taken to set the mood, instead of plastering my spastic fingers all over Facebook! Now, I am working on a new music video in celebration of Black History Month. And I am considering debuting it through my wordpress domain. My keyboard-playing is still pretty darned good. But I am mortified that I am having to relearn the guitar—after 50 years!!! It just goes to show you—as I sometimes remind my friends—If you don’t use it, you lose it. And if I really lost my music, I’d probably lose my mind as well. Here’s to the rebirth of my “Magic Fingers”! I’ll be posting one or two of my videos on this site, very soon!